Israeli Chief Rabbi offers his condolences after son-in-law of Mexico's Chief Rabbi pulled from rubble following earthquake. Israeli Chief Rabbi David Lau spoke with the Chief Rabbi of Mexico Shlomo Tawil over the phone Sunday, after a pair of earthquakes struck the Mexican capital. A 7.1 magnitude earthquake rocked Mexico City Tuesday on the 32nd anniversary of a catastrophic 1985 earthquake that killed thousands. The death toll from Tuesday’s earthquake topped 300, with nearly 5,000 injured. Among those killed by the quake was Rabbi Chaim Ashkenazi, the son-in-law of Mexico’s Chief Rabbi. Rescue workers searching for survivors during the Rosh Hashanah holiday recovered Rabbi Ashkenazi’s body from the rubble of a collapsed building, ZAKA-Kedana reported. "After Shabbat ended, we received an update from our team in Mexico that the missing Jew was indeed found dead. Our team was in the area from the moment of the earthquake until they received an update that there are no more missing Jews" said ZAKA International Director Mati Goldstein. 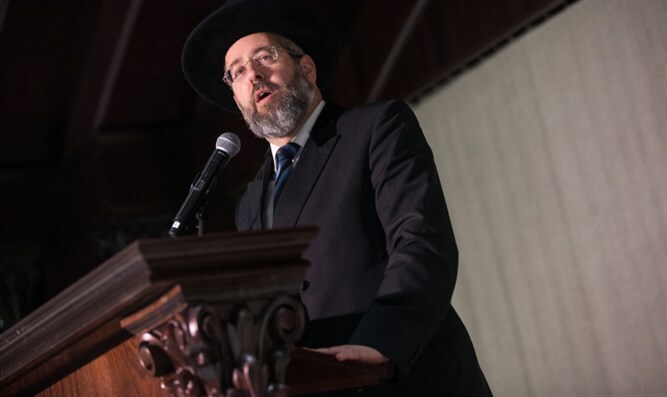 During the phone call Sunday, Rabbi Lau expressed his condolences, calling Rabbi Ashkenazi’s death a terrible tragedy, adding that the family was in the thoughts and prayers of Jews around the world. Rabbi Lau also wished those injured in the Mexico City earthquake a speedy and complete recovery.